Trout hits out of the ruff! Howard hits first HR of Spring! Mike Trout can play baseball, everyone knows that by now. He's a South Jersey native as well, so don't expect him to have a great golf game. He found this out in Arizona when he had to play this 'cactus lie'. The Phillies meanwhile are trudging away with the Spring Training schedule and the first win of the Grapefruit League was earned by Cole Hamels who has seen a little resurgence in his popularity in Philly. Is this the same pitcher that a lot of fans nearly booed off the field at Citizens Bank Park a short time ago? It's March tomorrow... only a month remains now in the Grapefruit League schedule! Dom Brown: "Play me and if I don't do well, trade me"
Dom Brown said to the Phillies this Spring training words to the effect of, "Play me and see what I can do, or trade me." I think the Phillies will keep him around to see what he can do. That being said, he's hit 2 HR's already in Spring Training. Does he have the rest of his game in order? The Phillies didn't look very good today at their home park in Clearwater this afternoon. The Detroit Tigers broke open a slim 1-0 lead by the Phillies in the 5th inning and rocked Jonathan Papelbon for 6 runs on 5 hits this afternoon, handing the ace closer his first blown save of the Grapefruit League in 2013. When the dust had settled the Tigers racked up a 10-1 win, and left Papelbon with a 81.00 ERA. I always think you can discount a lot of Spring Training games, but this one was downright disheartening. The bright spot was that Cliff Lee looked sharp vs the Tigers and held them in check for 2.0 innings, while Tyler Cloyd also held the Tigers scoreless for another 2.0 innings. Ryan Howard accounted for the lone RBI for the Phillies with a sacrifice fly that scored Yuniesky Betancourt (we have to come up with a good nickname for him if he makes the team). Jonathan Papelbon on the other hand looked like he self destructed out there on the mound today and gave up 2 HR one of which was a two run shot, and then a moon shot to left by Miguel Cabrera that sailed over the stands in deep left field that scored three more. It was possibly the longest HR at Brighthouse Field according to the Phillies announcer, Tom McCarthy. The Tigers radio broadcast noted that Ryan Howard, Carlos Ruiz, and Darin Ruf played most of the game, and Charlie Manuel must have been mad at them to make them stay in through the whole game. Not to mention possibly that Ryan's contract has him being paid $25M dollars this year, and this is what baseball players do. Bring on the Yankees tomorrow in Clearwater at 1 PM. It's about a week of so into Spring Training for the Phillies in 2013, so we're looking into the first sounds of Spring from this team. What is going on with this team? We've expected so much from them the last couple years but this year it's a little different. Jonathan Papelbon spoke his mind already at Spring Training, and I think he's right. Someone step up and be a leader on this team, last year you had the injuries with Ryan Howard and Chase Utley, but when you really think about it, there isn't a real leader in the starting 9 and there hasn't been. 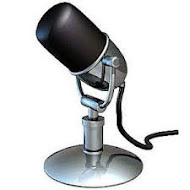 All this and much more on this edition of Phillies Talk Podcast, the longest running independent internet radio show about the Phillies baseball team. Revere tweets favorite ice cream of the moment! It's the way the twitter service was supposed to be used, to have fun and deliver short messages over the internet, for anyone who cares to read or see them. Ben Revere earns the top Phillies twitter spot for this reason, he gets it. No, he's not getting paid for this endorsement, it was just a spur of the moment tweet to let people know what kind of ice cream that he was really enjoying at this moment! Yes, it looks good. I've got a feeling Ben can really play the game of baseball, we'll see just how well beginning on Saturday. Phillies baseball starts on Saturday, it's going to be cold miserable and rainy in the Philly area, but the forecast is for sun with 77 degrees with a slight chance of rain in Florida, so at 1:05 PM on Saturday afternoon, we'll hear those familiar words, "Play Ball." All eyes were on Tommy Greene as he snared a come back hit in the 9th inning to give him a No Hitter vs. the Montreal Expos on Thursday, May 23, 1991. The Phillies won this game 2-0 in Montreal behind the great pitching of Greene. It was only the 8th no-hitter in Phillies history which began in 1885 with the first one ever thrown by a Phils pitcher. A Perfect Game is a special category of the no-hitter, it is accomplished when no batter reaches a base during a game, a no-hitter game can have base runners, in fact Greene's game had 7 walks issued but no one got a hit. Roy Halladay is only the 2nd Phillies pitcher in it's long history to pitch a Perfect Game which came against the Marlins on May 29th 2010, of course Jim Bunning was the first on June 21, 1964. Tommy Greene recently wrote his recollections of the great day he had in Montreal on MLB.com, the entire article can be found here. This is the back page of the Philly Daily News today in Philadelphia, Cliff Lee is a rock, and he's served the Phillies well most of the time. Last year though in 211 IP and 30 games started for the Phillies he turned in a 6-9 record, hardly the stuff we have become accustomed to see from Mr. Lee. Lee also didn't have a complete game at all last year, after having 6 CG in the 2011 season for the Phillies, he seemed to just not have the same pitching edge that he enjoyed in 2009 when he had 3 CG in only 12 starts for the Phillies. Cliff Lee earned $21,500,000 last year from the Phillies and his pay is due to rise to $25M this year, this is a lot of money to make as a pitcher, and the fans are going to expect him to rise to the occasion this year. Lee did have a lot of bad luck last year, Phillies batters just didn't score runs when he was on the mound. Doc looks ready to go for 2013, we'll see if this winter off did him some good and helped heal what ailed him late last season. He said that he would like to remain a Phillie for the rest of his career, we'll see if the Phillies feel the same way this year. Here Roy Halladay is getting some photography work done here in Spring Training. Only a few more days until the first game of Spring Training for the Phillies vs the Astros on Saturday Feb 23 at 1:05pm. Ben Revere is the Phillies twitterific! Ben Revere is new to the Phillies team this year, but he's not new to Twitter. Ok, either you're up with the latest technology or you've lived under a rock for a couple years and you're wondering what 'twitter' even is. Twitter is a communication program that lets you send out short messages to anyone that cares to read them, all in 140 characters or less. Of course if you a major league ballplayer, actor, or actress, or super hot runway model you're going to get a lot more people who follow what you have to say on Twitter, but that's kind of the fun of it. You can follow this writer for example at the feed for the blog here by looking up @fightinphillies on Twitter and following us, and then you'll receive everything we 'tweet' about, that is sending out twitter messages. Some of the Phillies have Twitter accounts, and the best thing about the service is that it is free. Want to see what Ryan Howard has to say, or Jimmy Rollins, or Kevin Frandsen? They are all on Twitter, but the most twitterific player on the team has to be the younger Ben Revere. He's out there and tweeting a lot, today he's just shown us that he did a little shopping. A close runner up would have to be Jimmy Rollins, but I think that Revere has him beat, he is a bit younger that Rollins so that may be a reason. Nonetheless, we'll be featuring a lot more of this style of blogging here on FightinPhillies.com this year. Do you like it? The Phillies are back for Spring Training for yet another season. This year the players for the most part all appear healthy and ready to go for 2013. 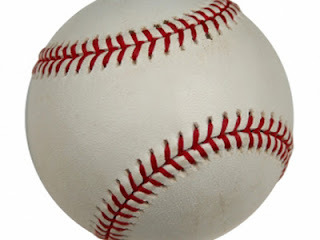 On this show, I am rejoined by renowned baseball talker, Jim Mulry, and he can't wait until the games begin again, which will be about a week from now. 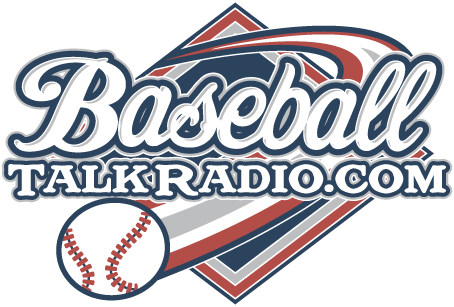 We're talking about Chase Utley, Charlie Manuel, and a whole lot of other topics on the Phillies Talk Podcast, which is the longest running independent show that streams on the internet talking about Phillies baseball. Download the shows later and listen to us on the road!